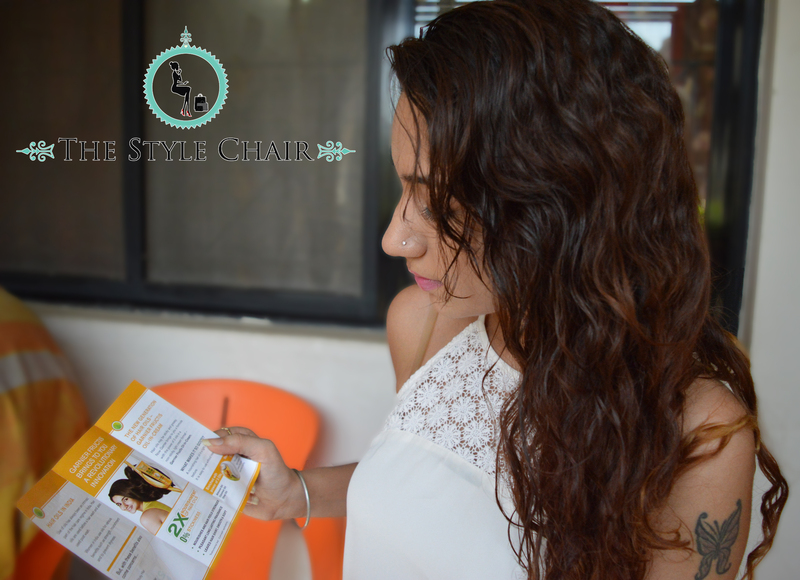 I just had a quick hair pampering session & I would like to share the soothing & smoothing experience with you. 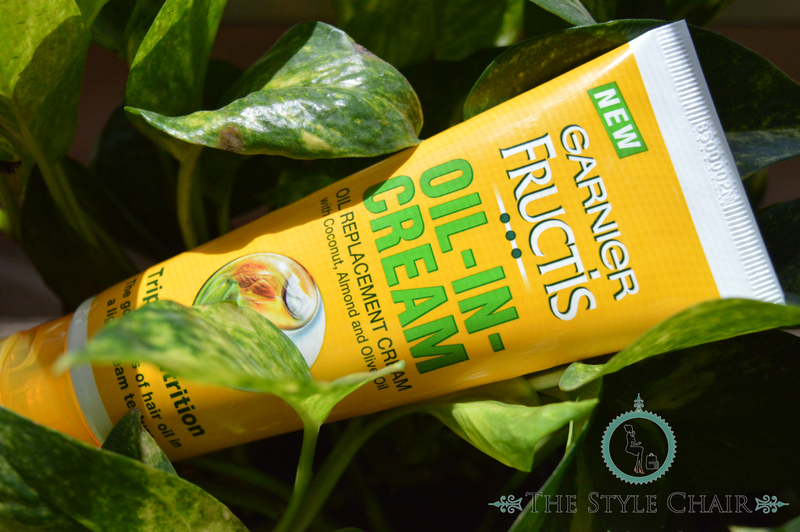 So, Garnier Fructis recently launched a revolutionary innovation called the Oil-In-Cream & The Style Chair shall tell you why this should be your next beauty buy. 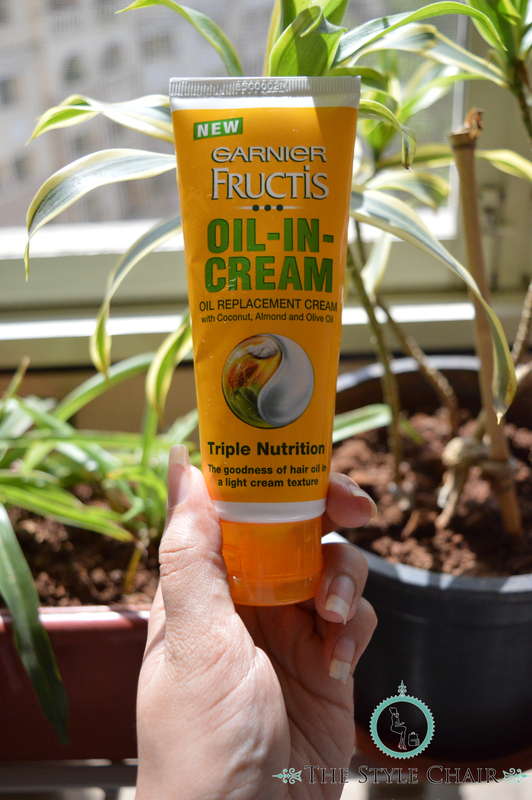 Garnier Fructis Triple Nutrition Range has recently launched an Oil Replacement Cream. 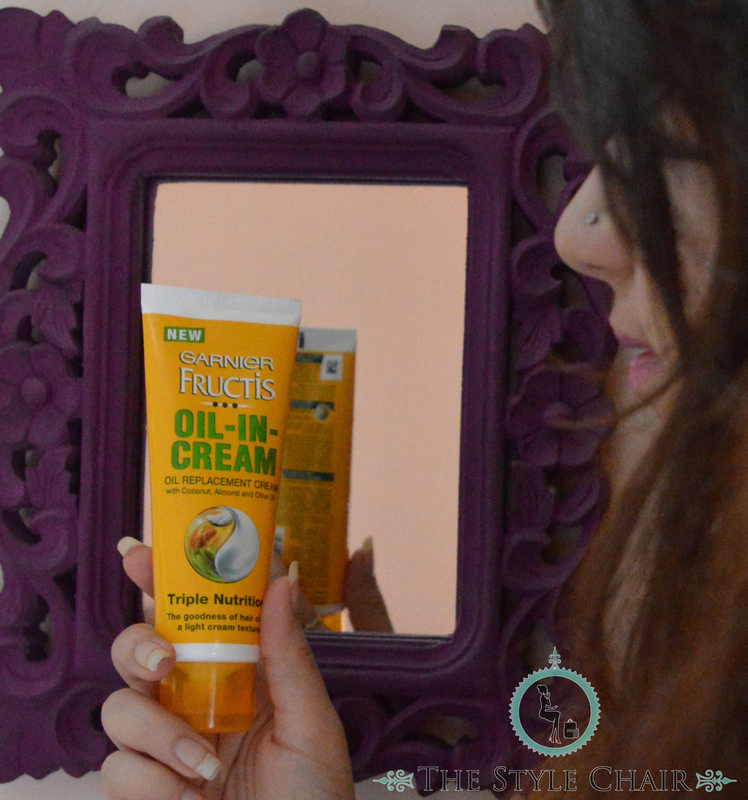 This Oil-In-Cream is enriched with the power of 3 oils- Almond oil, Coconut oil & Olive oil. 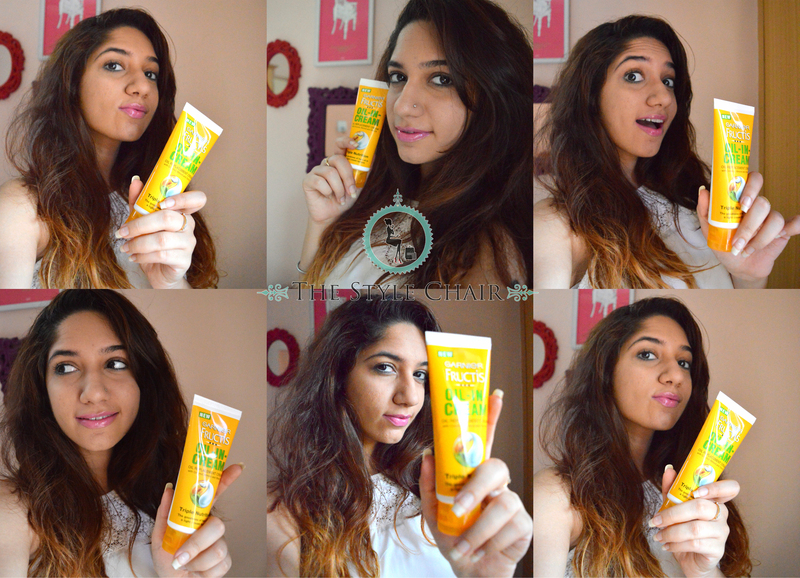 What are the benefits of the Oil-In-Cream? 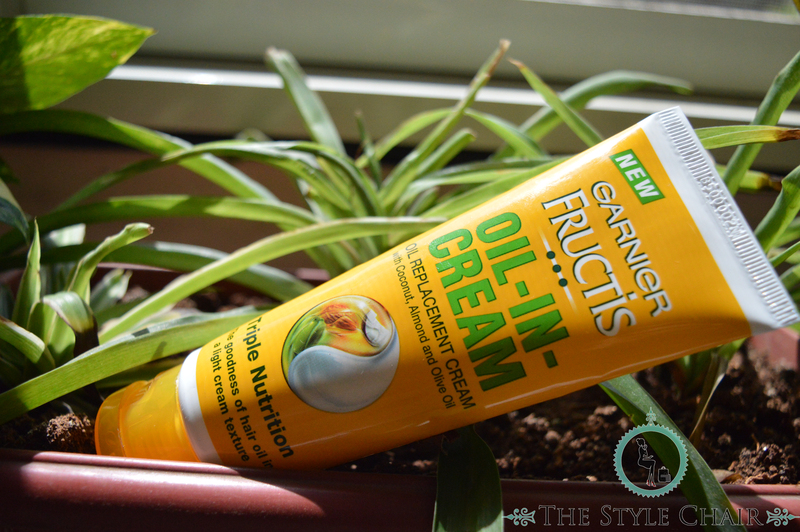 The Oil-In-Cream has a light creamy texture & is non sticky. 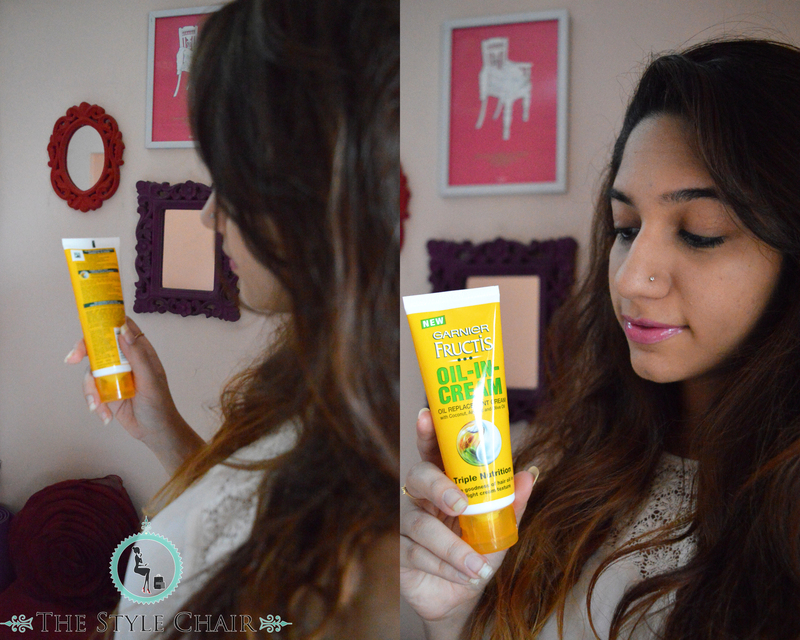 It Nourishes the hair & helps to make it stronger. 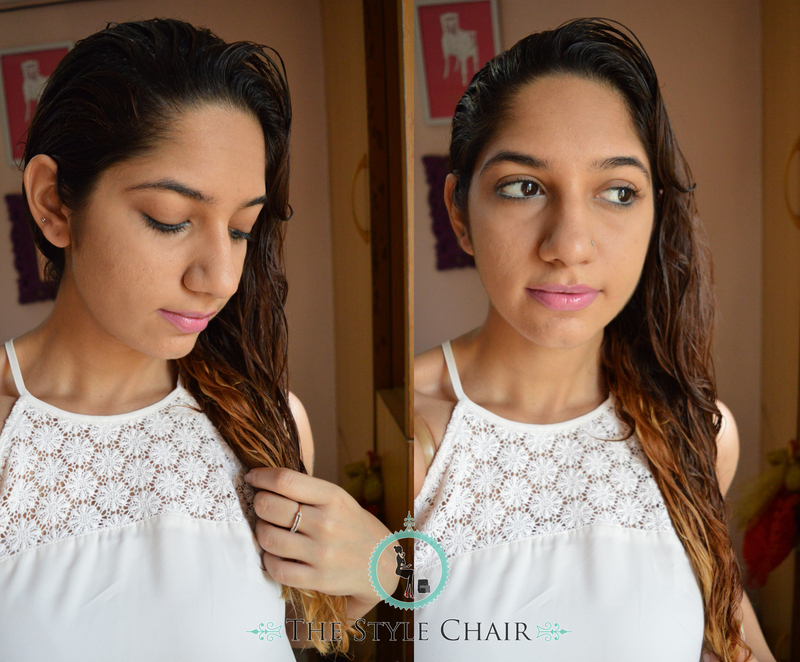 Gives all the nourishment of a hair oil but without the messiness. 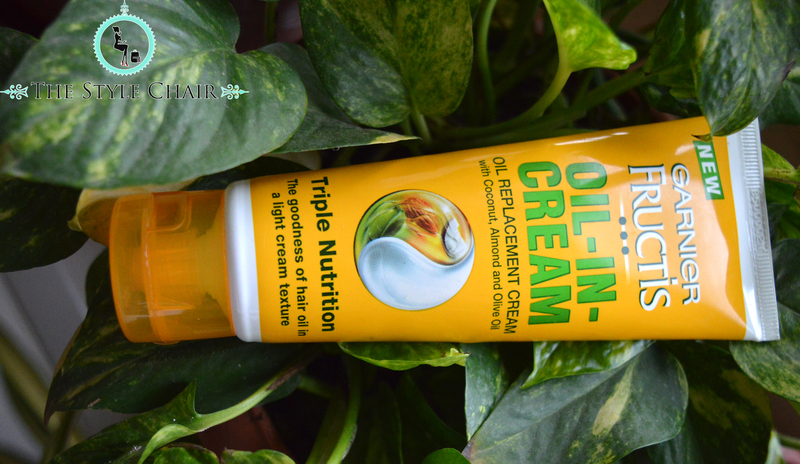 The Oil-In-Cream can even be used a few minutes Before a wash to nourish the hair. 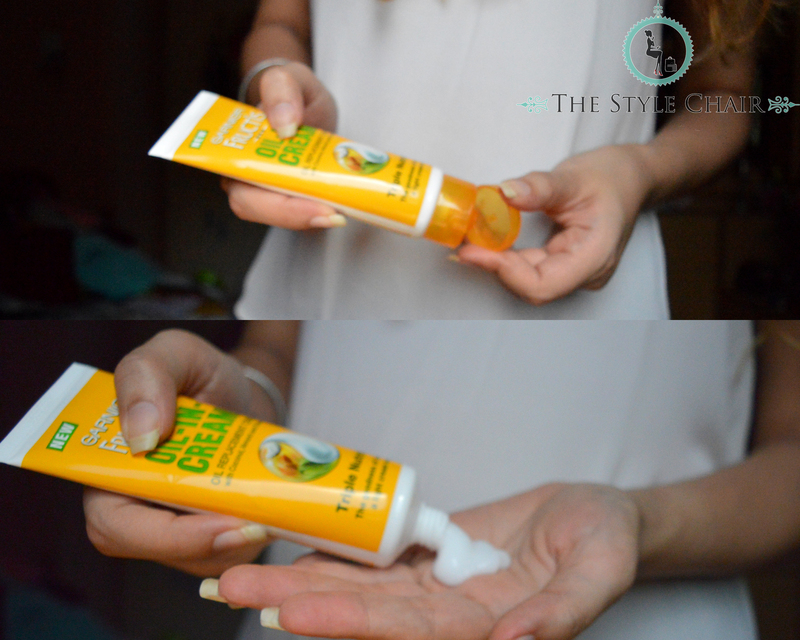 The Oil-In-Cream can also be used After a wash. 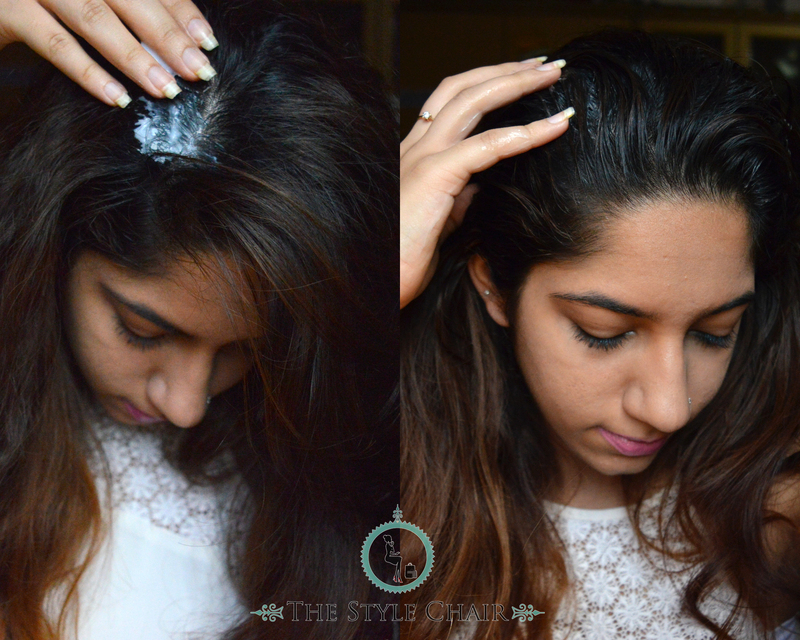 Yes, just use in small quantity to smoothen the hair lengths. I personally loved how hassle free the application was & the fact that it wasn’t smelly either. 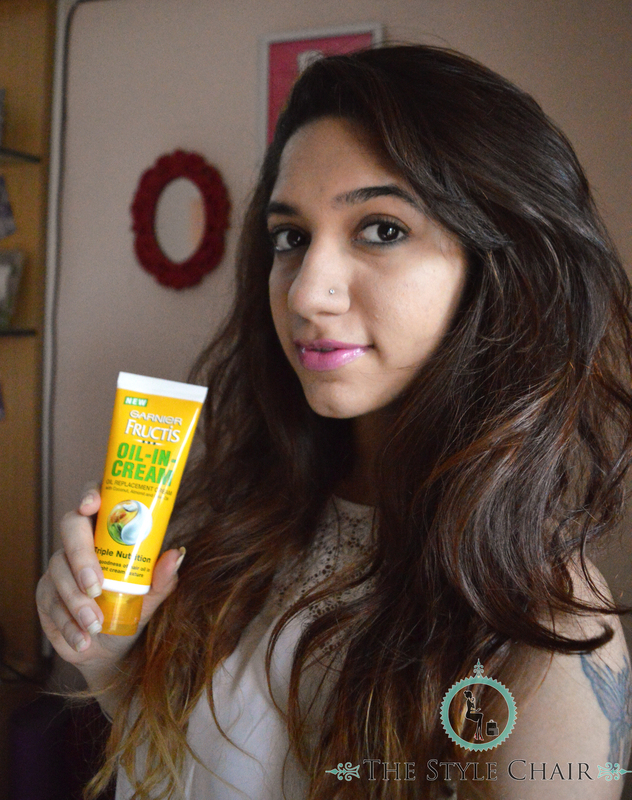 Now for someone like me who has medium thick & long hair that are quite dry, I need a lot of the hair oil cream! Which means in just two applications I would end up finishing a 100g tube.